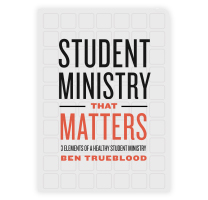 When it comes to Mother’s Day, there are some great things student ministries can do. There are also some key elements that leaders ought to be aware of when planning for a Sunday or weekend like this. For the most part each of the following points can apply to Father’s Day as well. Partner with a local restaurant to give families a discount for lunch or dinner that day. Perhaps there is a church member who owns a restaurant that might work with you on this. Or you could contact some local places to see how this might work for you. Present students with a coupon or something that allows them to take advantage of this kind of deal. Record some “Thank you mom!” testimonies from your students and share them via social media. Set up a camera or use your phone to get students saying a quick reason why they love their mom, and saying, “Thank you.” Share it that day for moms to see. Have a breakfast for moms at the church. Enlist your students to serve moms at a breakfast for them and their families. Do something simple like pancakes and put a Would You Rather type card on each table so families can have fun as they eat together. End by praying for moms. Regardless how you celebrate moms in your ministry on Mother’s Day, make sure you do something. 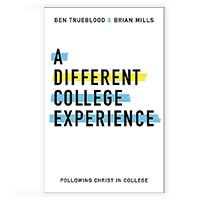 Student ministry should be a place mothers feel appreciated and welcome. And not just because you’re going to need them for a D-Now or as a leader sometime soon anyway, right? There are students who have never known their mother. Perhaps they have lost their mother, or they simply never met her in the first place. Be aware of these students as you plan celebrations and plans so that these students don’t feel left out or inadvertently hurt in the process. Some students may have a mother who is ill or struggling, and this holiday can be a challenge for those families as well. Additionally, there may be some adult leaders in your ministry who are trying to have children and are struggling. Ensure you pray for them or at least acknowledge the issue without making light of the individuals. The main goal is to ensure you celebrate the day well but have the pulse of the people you minister to in mind. Mother’s Day can be a rough day on ministers’ families. Celebrate with your spouse and take time to make this day special. Team up with your children and make it something to remember! If you are a mom, take a moment to celebrate what God has done in your life. Let your family have some time with you and for you! Remember your mother as well and take time to honor her in that special way. Mother’s Day is a great day to celebrate the family and all that God has done. 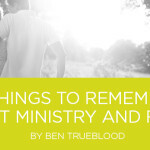 Focus in on ways you can minister to moms in your church and community. Be sensitive to the people you lead, and help students encourage their mom and the family as a whole.